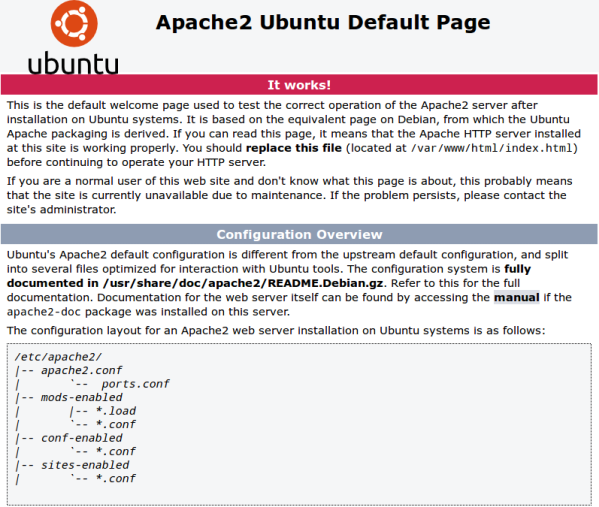 Home > Blog > Why Is Apache Ignoring Some Of My Virtual Hosts? and this all works pretty nicely. Last night one of our customers wanted to put live a site we've been building for them. This site will be reachable via several different hostnames - we redirect most back to a single canonical one, but the server still needs to recognise the different variations. All looks ok. Before changing DNS, I updated my local /etc/hosts file so I could browse to the new server using the two hostnames, just to check everything worked ok.
Drop livewebsite.com into my browser, and our lovely new site loaded up nicely - everything is good. By watching the Apache access log on the server, I can see that me request is going to the right server, but instead of serving up my virtual host's DocumentRoot, it's serving Apache's default site. That's not right! Every time I've had trouble in the past with Apache configurations, and especially virtual hosts, I've pulled out the trusty `apachectl -S` command to see what Apache thinks my configuration means. and now, Apache refused to start, saying there was a DNS lookup failure on www.completelymadeupdomainname.com. Ahah! So, Apache is doing DNS lookups on those virtual host names. As we hadn't put the new server live yet, I knew that public DNS was pointing both the required hostnames (livewebsite.com and www.livewebsite.com) to the old server, which was 5.6.7.8. However, livewebsite.com was in the new server's /etc/hosts file, which is why it was resolving to the new server, while www.livewebsite.com still resolved to the old server. From there, it was a quick job to add www.livewebsite.com into the new server's /etc/hosts file, and all of a sudden, everything works. So, today's lesson is that Apache will look up any hostnames in your VirtualHost directives. Be careful!